Crash Fatalities Surge: Is Complacency Killing Us? According to a recent report by the National Safety Council, for the first time in 10 years there were more than 40,000 traffic fatalities in the United States. This 2016 statistic represents a 6 percent increase over 2015 and sadly, 2015’s increase in fatalities was 7.2 percent above 2014. Another sobering fact related to 2015 is that the increase that year was the largest percentage increase in nearly 50 years. Another alarming trend identified from statistics provided by the National Highway Safety Administration (NHTSA) is that there is similar movement in the overall annual crash rates. While NHTSA has yet to publish its final 2016 figures, year-to-year total crash counts increased by 377,000 in 2014 and 232,000 in 2015. Many articles seem to suggest that a contributing factor to this upward trend is that Americans are driving more than in previous years. On the surface this seems logical, however, when you look at further analyses compiled by NHTSA, which includes the equalizing measurement of fatality crashes per million miles, the story does not get any better. NHTSA’s statistical projections show motor vehicle traffic fatalities rose about 8.0 percent in the first nine months of 2016 compared with 2015. Vehicle miles traveled only rose about 3.0 percent during the same period. NHTSA goes on to state that based on 100 million vehicle miles traveled, the fatality rate for the first nine months of 2016 was 1.15 percent, up from 1.12 percent for 2015 and 1.08 percent for 2014. As you can see, even accounting for miles driven, the trend continues to show deteriorating results. At 23 percent, the U.S. Bureau of Labor Statistics reports that crashes involving vehicles on public roadways are the leading cause of work-related fatalities. So what can we conclude from all of this? First and foremost, the formula to improve safety performance is complex. There is no “magic pill” to achieve optimal safety performance. So much messaging today, geared toward fleet and safety professionals, seems to reinforce this position and, of course, the “quick fix” is always seductive. However, you can see national highway safety statistics are telling a different story and indicate much more work needs to be done to control losses. Are fleet operators so disconnected from what is happening that they just shrug their collective shoulders? I would like not to think so. More likely, challenged with ever increasing demands to do more with less, the “quick fix” approach has been unintentionally helping to cultivate an environment of complacency. Employers need to recognize desired, sustainable results will only be achieved when the resolve to improve drivers’ safety performance becomes part of an organization’s DNA. 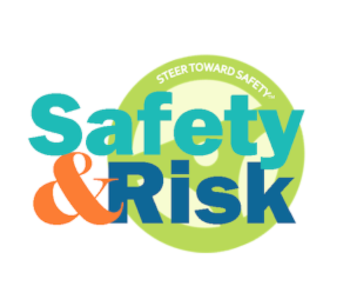 Leadership and those in charge of safety must commit to continuous improvement using the right balance of oversight, engage everyone affected, provide proven methods and support services to improve individual driver performance, and leverage safety culture-enhancing communications and advances in technology. It’s serious work that requires a serious commitment. 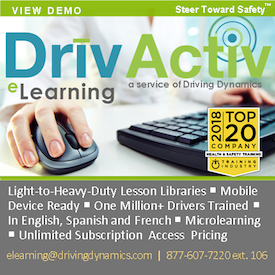 While the focus is first and foremost about saving lives and protecting drivers from injuries, there is a real economic benefit for employers who remain dedicated to enhancing driver safety performance. Actually, it is one of the last frontiers of cost-savings for fleet operators. While management continues to focus on extracting more pennies from the lifecycle costs to run their vehicles (no doubt a worthy, productive endeavor), complacency about driver safety is leaving dollars on the table. Last year we forever lost more than 40,000 of our friends, neighbors and co-workers. Another 430,000 plus were injured. Before we accept another year of deteriorating results, isn’t it time to get outraged, defeat complacency and say “no more”? Is anyone out there up to the challenge? I hope it’s you. Steer Toward Safety and The One Second Advantage are trademarks of Driving Dynamics Inc. All Rights Reserved.